Tara is a Licensed Mental Health Counselor specializing in individual therapy and relationship counseling. Her areas of expertise include treatment of mood disorders, PTSD, trauma, sexual abuse, adjustment disorders, major illness, chronic pain and grief. In addition to relieving pain and symptoms, she strives to help clients make changes that bring them greater happiness and life satisfaction. In working with couples, Tara utilizes EFT and Gottman Method and has completed Level Three training in Gottman Method Couples Therapy. 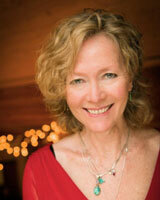 Additionally, she is the facilitator of The Mindful Couple Workshop (created by Connie Feutz, MA, LMHC). Tara’s work as a therapist follows a 25-year practice in Applied Organizational Psychology, including Leadership and Executive Development and Organizational Change. Tara accepts most insurance plans. Karen is a licensed mental health counselor with over 15 years of experience. 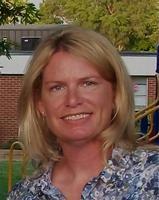 She currently works with adult and adolescent clients through individual and family therapy. Areas of specialty include PTSD, sexual abuse, depression, anxiety, chronic medical conditions, LGBTQ, and life transition including mid-life, quarter life, parenting, and caring for aging parents. Karen is also experienced with psychotic disorders and collaborating with medication management. Karen’s training is in Couple and Family Therapy. Her counseling style is compassionate, direct and solution focused. She draws from a variety of client centered therapeutic modalities based on a family systems orientation. Karen’s role in therapy is to help clients manifest a more authentic and satisfying life in a way that is consistent with their unique psycho, social, physical and spiritual values. Karen accepts most insurance plans. Barbara is a Licensed Mental Health Counselor specializing in Affective therapy. This therapy works by examining and processing through emotional triggers, and changing unwanted behavioral reactions to them. She does individual and couples counseling, working with adolescence and adults. 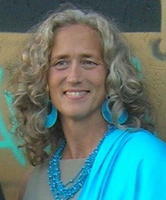 Her areas of expertise include depression, anxiety, trauma, PTSD, relational issues, codependency, sexual and emotional abuse, anger issues, gay and lesbian issues, family of origin issues and grief.Barbara completed three years of applied post-graduate training with world renowned psychotherapist Pat Wyman, LPC (author of Three Keys to Understanding). Barbara is an expert in the Myers Briggs and Enneagram for therapeutic use and presents workshops and training on this subject. She has been in practice for 12 years and has been based in Missouri, Texas and Washington. She accepts most insurance plans.